healthpro was founded in 2008 by current company Director Harriette Lynch to facilitate excellence in nutrition and exercise service provision. Since then, the combined expertise of Harriette and co-Director, Dr Alan Kennedy, has resulted in the companies' current standing as a leader in nutrition and dietetic consultancy, personal and group exercise fitness training, and physical and psychotherapeutic services. Through www.healthpro.ie, the company also provides a wealth of additional evidence-based, best-practice health promotion services and information for public benefit. healthpro continue to seek individuals who share our passion for health and wellbeing and commitment to service excellence. If this is you, we'd love to hear from you. Connect with us today. healthpro founder and Director Harriette, is a registered dietitian with the Irish Nutrition and Dietetic Institute (INDI) and a member of the Register of Exercise Professionals (REPS). Since her conferral with an honours degree in Nutrition and Dietetics from the University of Chester, Harriette has accumulated over eight years of dietetic practice and has developed particular expertise in the treatment of eating disorders, for which she is nationally recognised. She also has clinical expertise in the dietary management of Coeliac and Crohns disease. 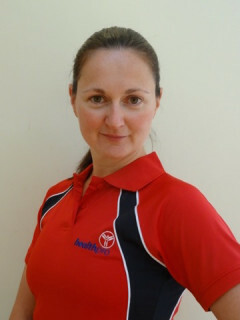 Harriette is also the holder of a National Qualification in Exercise and Health Studies and Personal Training from the National Training Centre (NTC), Dublin, and has extensive experience as a group exercise leader and personal trainer. Informed by her passion for endurance exercise, with numerous marathons and triathlons (including IRONMAN distance) to her credit, she also offers expertise in optimal conditioning and nutritional intake for such events. 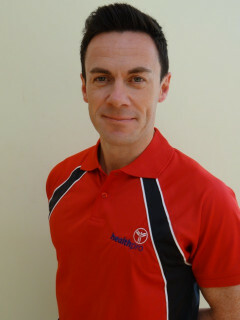 Alan has been a Director at healthpro since the companies formation in 2008. He holds National Qualifications in Exercise and Health Studies and Personal Training from the National Training Centre, Dublin, and is a BSc (Hons) Human Nutrition graduate of Liverpool John Moores University. He is also a PhD graduate of Trinity College Dublin, conferred in 2012 following successful completion of research in the discipline of Pharmacology. Alan has also completed a postgraduate qualification in Sports and Exercise Nutrition at Leeds Beckett University and will progress to the Sports and Exercise Nutrition Register (SENr) (http://www.senr.org.uk). Alan has previously worked as a fitness instructor, group exercise teacher, and personal trainer in some of the largest fitness chains in Ireland, the UK, and Australia and has accumulated over 16 years of industry practice. Since 2008, he has also been actively involved in biomedical research, with many publications in respected journals to his credit, and is currently Senior Research Technician within the Renal Inflammation Research Group at Trinity College Dublin. As a healthpro Personal Training and Sports Nutrition Specialist, Alan uses an informed, practical application of current knowledge and research evidence to achieve individual health, fitness and performance targets for his clients. He has particular expertise in the areas of fitness for health, strength and power exercise programming, static and dynamic stretching, run coaching, and nutrition for strength, speed, power and endurance sports.